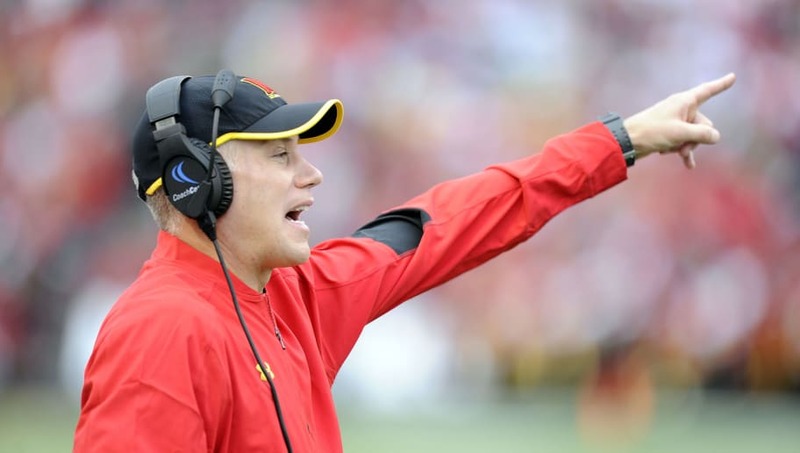 It just keeps getting worse for ​Maryland Terrapins head coach DJ Durkin. ​Currently on administrative leave while the university investigates reports of a culture of bullying and intimidation that contributed to the death of Jordan McNair, new information has come to light today that will cause still-more problems for the school and its reputation. On Thursday, the university issued a statement contending that former athletic director Kevin Anderson had previously authorized the use of athletic department money to hire an attorney to represent two former Maryland players facing sexual assault accusations last year. But today, the attorney himself stated that Durkin was the one who arranged his hiring. How gross can the mismanagement really get over in College Park? The self-inflicted disasters might actually be comical if they didn't involve the tragic, preventable death of McNair, who fell victim to heat stroke during an excessively grueling workout. Yes, Maryland football was doing everything it could to stack the deck against a student accuser. ​The program did not properly inform the university of what it was doing. ​And Durkin, if attorney Donald Maurice Jackson is to be believed, was the one at the top making all the calls. ​Just fire him now, folks. And get rid of the university president while you're at it.